I want to alert those of you who follow Flattering50 that my blog now has a new address: www.Flattering50.com. A few months ago, I made a few minor changes to the site's appearance. Making the transition to a .com seemed like the next logical step. I was lucky to have a few people helping me with the re-design and the URL change, including my most excellent husband. I also wish to thank Pam at over50feeling40 who helped me get the process started with lots of encouragement and great tips. Big, BIG thanks, Pam! Please let me know if you're experiencing any problems with the new .com address, such as leaving comments, searching, and/or using the navigation bar. You can reach me by clicking on "Contact" above. Many Thanks! I have to admit it took some exact organizing to fit everything in two carry-on bags. I assumed my only reward would be the ability to breeze out of the Denver and New York airports. But there was another benefit. While waiting for our flight back to New York, my husband and I ate at an airport restaurant. Our table overlooked the tarmac. In the middle of our meal, a terminal vehicle drove by, pulling a trailer piled with luggage. 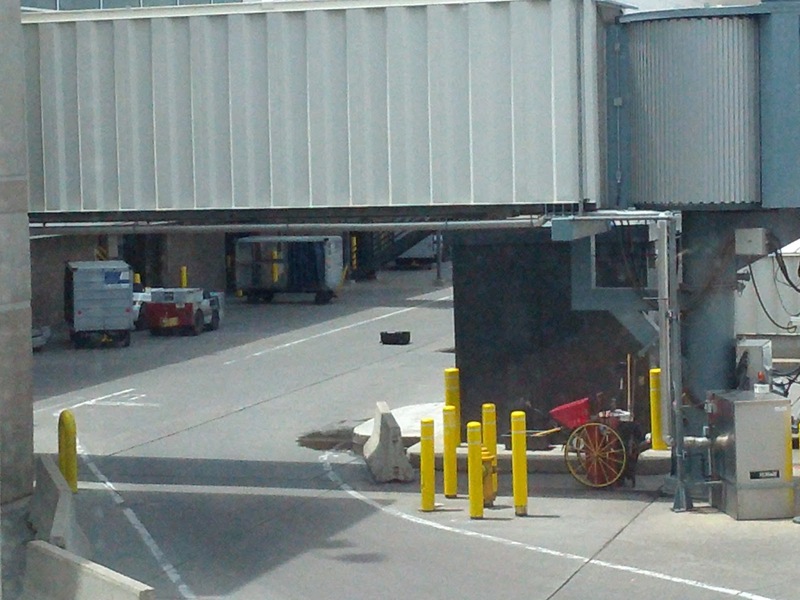 I snapped a photo (above) when it was clear the vehicle's driver was unaware he'd left a suitcase on the tarmac. Such a sad sight; I felt so sorry for the suitcase's owner. It was a relief, though, to know it wasn’t my luggage.